WOW.... so clean, GREAT BUILD! I'd love to see any recent pics of the bike.... have you changed anything else? Is the worm still there?! I'm dredging this up to add the photos of the steering damper and steering stop. 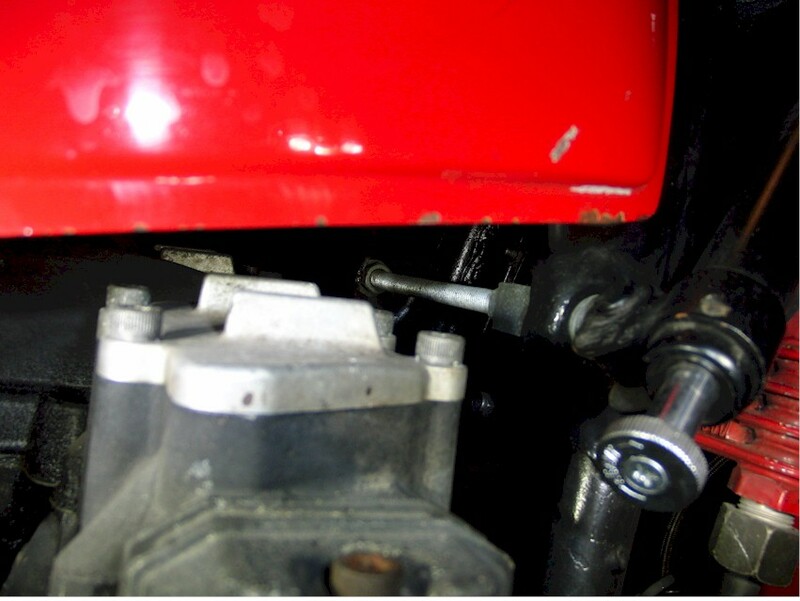 First is the steering stop. 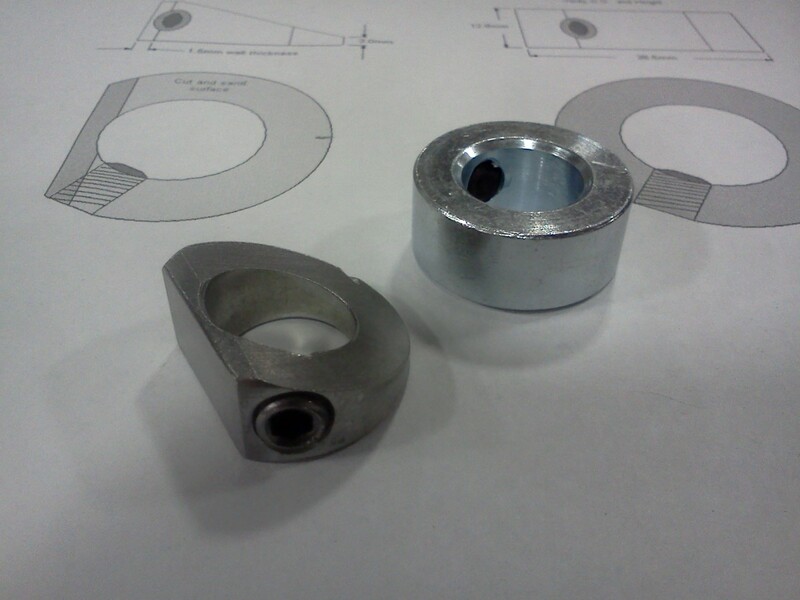 I cut a shaft collar and welded it to the factory steering stop. 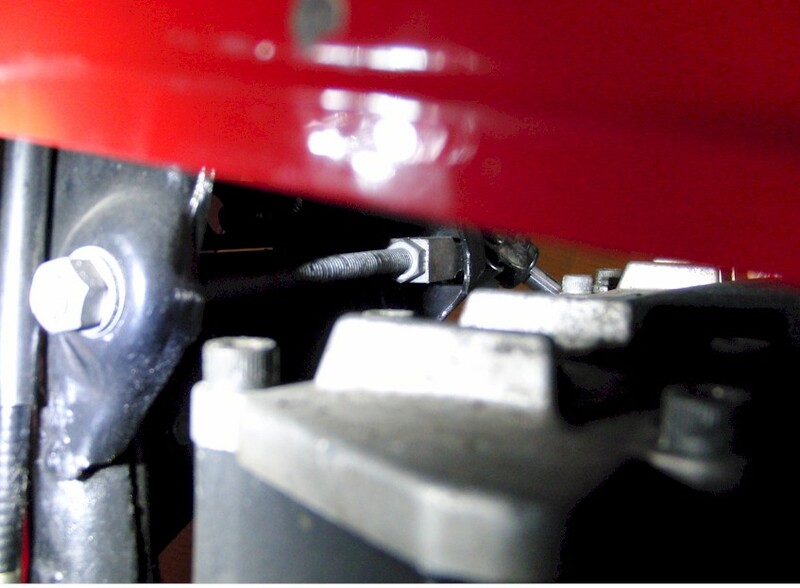 With a little grinding on the stop and steering lock tab, I can still use the factory steering lock. 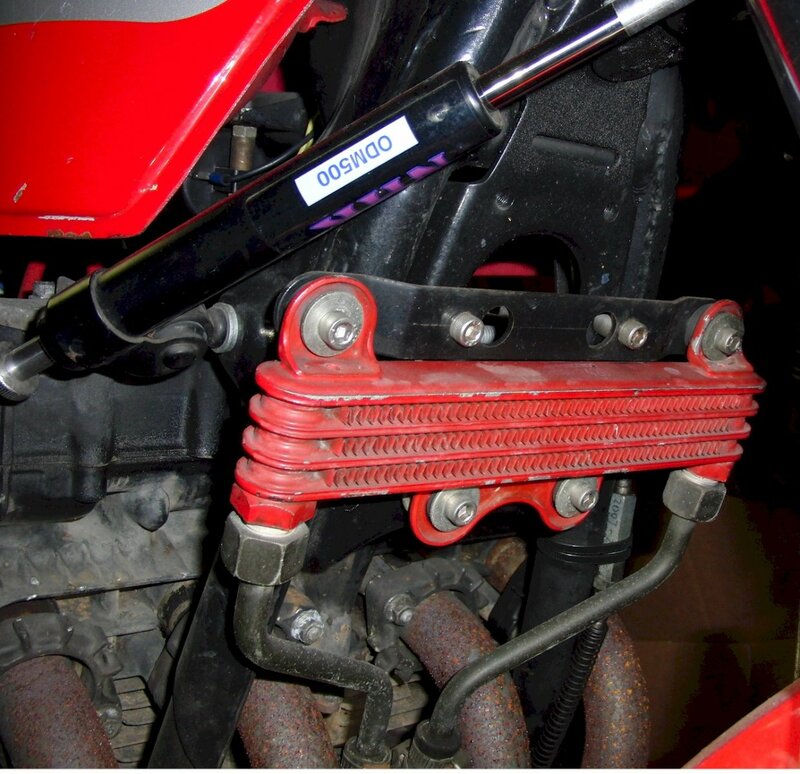 This was needed for the clip-ons, but also is needed for the steering damper. 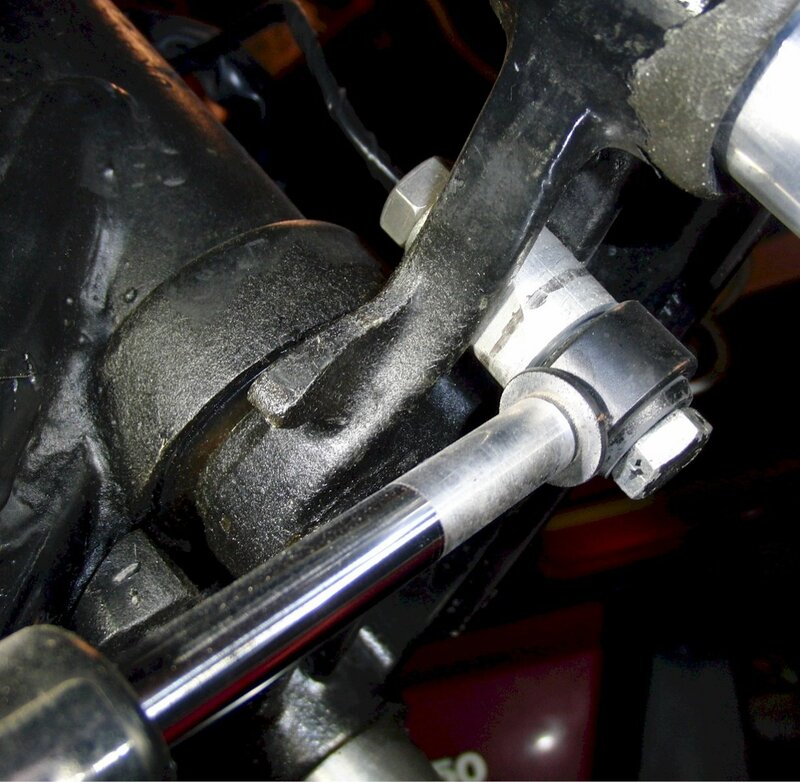 Old bikes can steer much further than most modern bikes, and that exceeds the range on some steering dampers. It does not affect handling since you never turn that far under normal conditions, but pushing the bike in tight spaces or backing out of parking spots etc. you might notice the reduced steering travel... just more back and forth really. 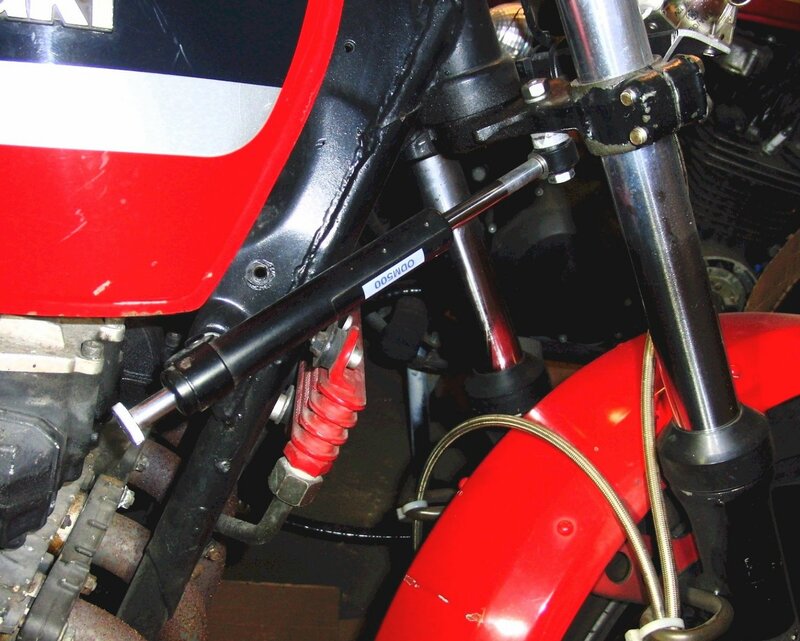 The main problem with a steering damper on the Kz550D1 and H1 gpz is the oil cooler is right in the place where the steering damper needs to go. So I cut the lines and lowered the cooler a couple inches... maybe less. I just clamped the hoses back onto the cooler lines after cutting them down. I put two clamps on each line (not shown). 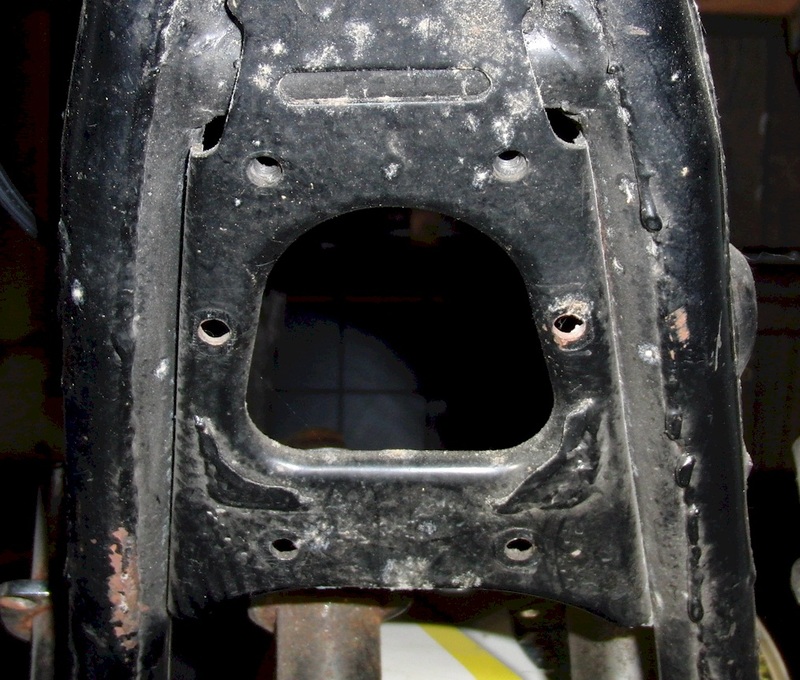 I drilled new mounting holes on the frame's brace, and cut away the old mounting tabs to give better air flow. Then I drilled matching holes on the cooler's upper mounting bracket. This will lower the cooler, but that, by itself, is not enough. I had to stiffen the front suspension (which I was going to do anyway) in order to prevent the front fender from hitting the cooler. The Kz550's have way more than normal travel (by modern standards), so reducing the fork travel wouldn't be a bad idea, but I didn't put any stops in. Before I stiffened the springs, you can see where the front fender hit the cooler. To stiffen the front, I just cut the factory springs down by 30% and put in a spacer PVC tube. It works perfectly and doesn't cost hardly anything. It feels better than the Works spring kits I was using on other bikes. You just have to cut carefully and dress the ends of the springs using a propane torch to prevent fork-tube scraping damage. I don't seem to have photos of cutting the springs down. Maybe my buddy has photos from when we did his bike. The damper is available on Ebay etc. It is the same one used by Kawasaki on several 1970's models. It's cheap and very effective and has a nice classic look. You can see the model number on the brace upside down. The damper mounts to the reflector mounting hole, but I had to drill the hole larger and knock off the nut welded on the inside. Then ground the area flush. 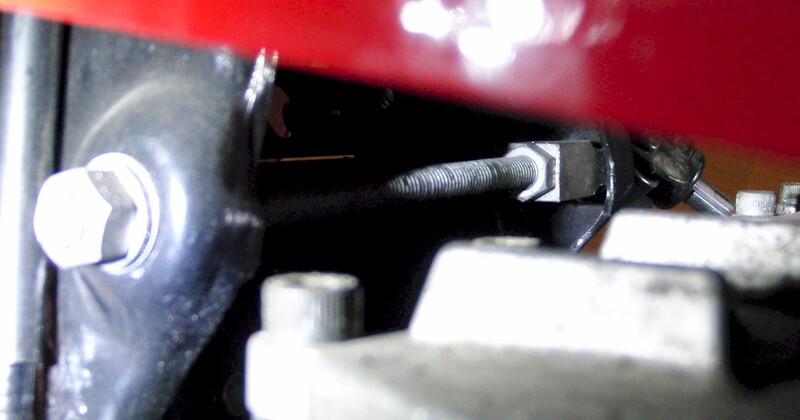 To reinforce the frame in that spot I threaded a steel block with 8mm threads on one end and 5/16" threads on the other and used that block as the nut for the damper. Then I put a piece of all-thread to tie it to the frame on the left side of the bike. The frame is now rock solid where the damper attaches. 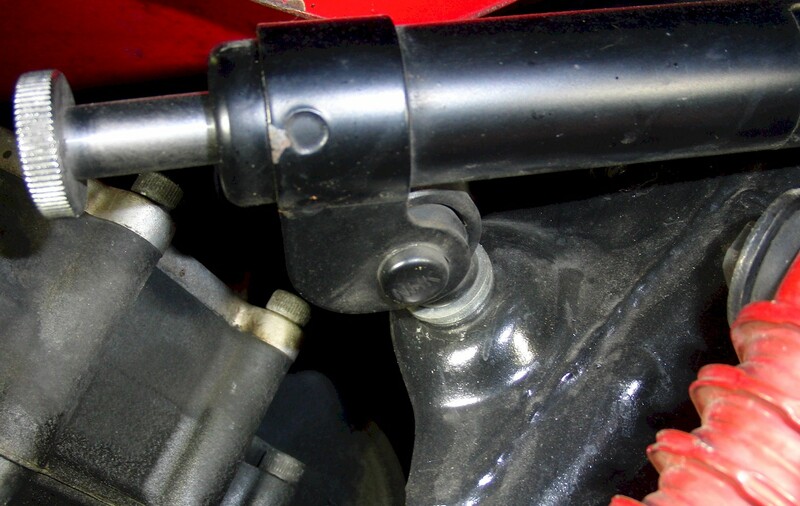 It is probably overkill, but there was a tiny bit of frame flex where the damper mounted especially when the cold and the damper oil was stiff. 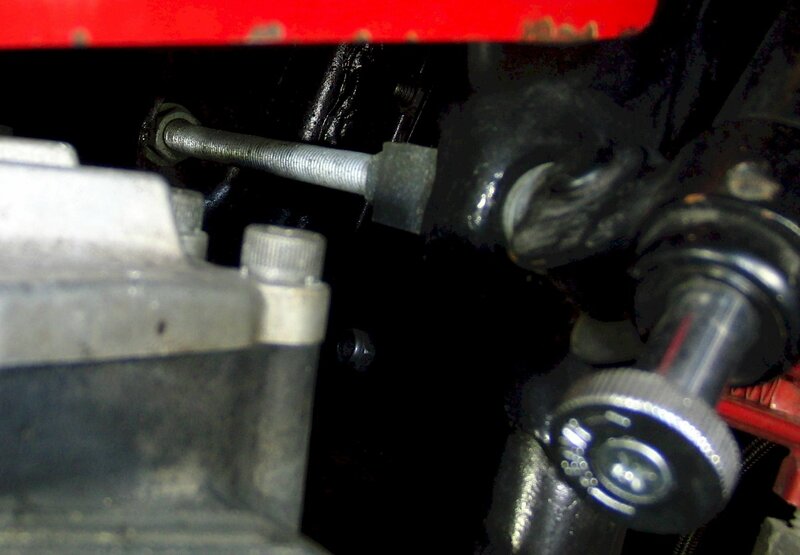 To attach it to the steering yoke, I just drilled an 8mm hole through it, while avoiding the reinforcement ribs. Then I used an aluminum spacer as a standoff, but I shaped the end of the spacer to match the curve between the reinforcement ribs in the yoke. That made it feel rock solid as well. 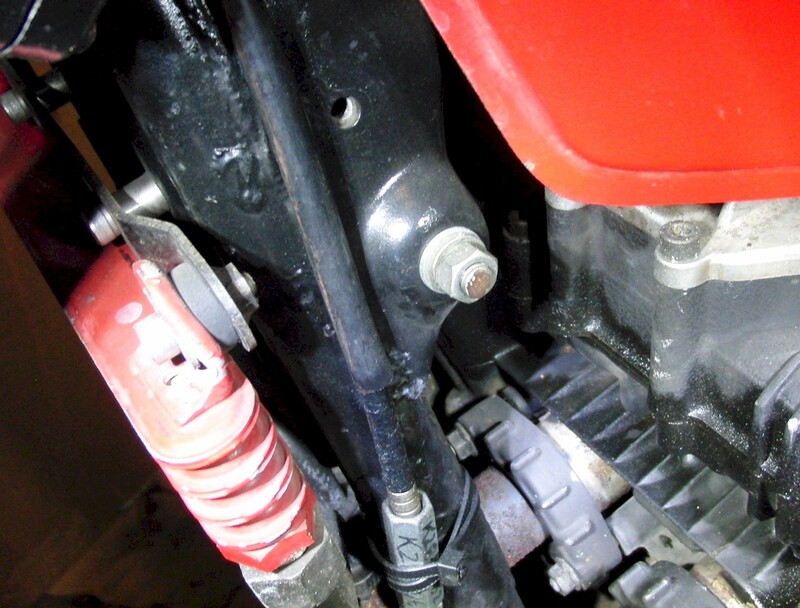 You can always get a 36mm damper bracket and clamp that to the fork if drilling the yoke makes you uncomfortable. Thanks for the pics . Nice set up . As long as I'm reviving this thread, I guess I'll post some updates from a long time ago. They are nothing major... some minor touches on paint, jetting, seat cushion. Since I had the ability to precisely jet the bike with a wideband o2 setup, I rejetted the carbs to get better fuel mileage. It didn't really change the running other than needing choke a bit longer on cold days, but the mileage improved to around 60 mpg. I didn;t alter the air-fuel for power, just the lower cruising part of the throttle range. I have a thread somewhere on the wideband tests etc. Along the way I welded a new baffle for the no-name aluminum canister that came with the bike, so it now has that silver muffler which I left on. It's louder but still has the same Kerker sound. This was also part of the rejetting tests. What else... I did make a canvas cover for the softer, blue seat pad. It matches better and feels better than the solid black pad I had. 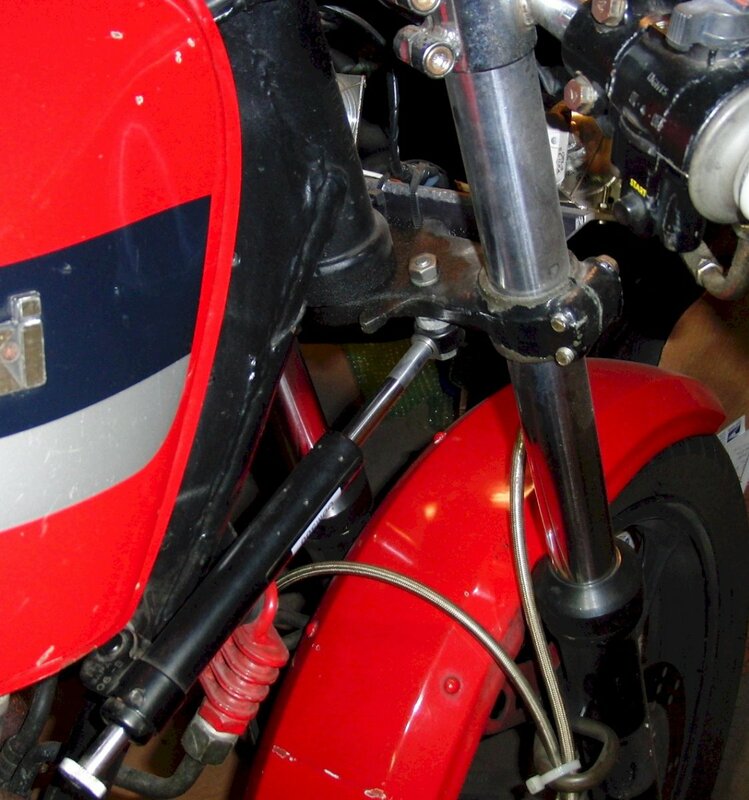 These photos are from 2012 and the bike has been pretty much unchanged since. I probably ride this bike more than the others due to not having a battery... it's always ready to ride early in spring and late fall. The headlights, which were going to be temporary, as I expected them to break or fail early on have made it 11 years with no problems even through rain... surprising. I never did paint the tail or the rest of the bike. The clear tail with the occasional light-up maggot has been a great conversation starter at bike nights. I love the original Gpz paint, and the tank and fender are for another bike, so I thought I was going to have to get some hashed out parts on ebay and paint them, but the other bike project has really just been in storage waiting for another day so I've been using these stock parts on this bike. In hindsight, if I had known I wasn't going to paint the tail, I would have been more careful about marring the Lexan and would have made the aluminum mounting bits nicer. At least painting the aluminum pieces black helps hide them. 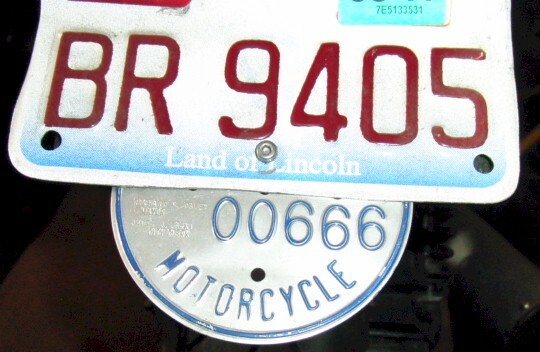 The city plate is expired and is the really old style round plate, but I keep it for the randomly issued number. Awesome project! Love the photos. 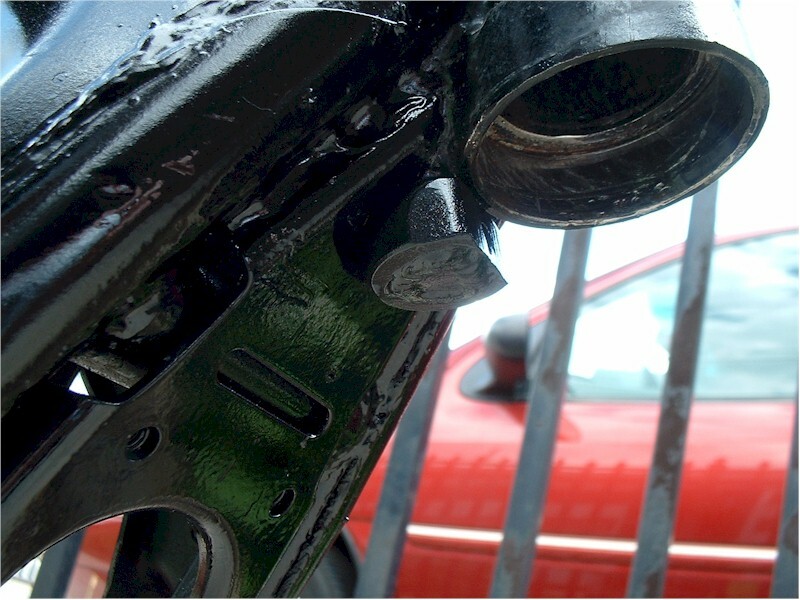 That bike of yours looks like a moto-tool; no monkey business, other than that horrid maggot. The maggot is a local favorite. Ha. For a $5 toy I got at Menards, it really draws a crowd. There can be a Vincent parked next to me and people will be looking at the $200 Kaw parts bike with a singing maggot. Cheap thrills. If we lived closer to each other, I'd ride with you anytime Lou! lol i was wondering if you still had the maggot a couple weeks back! Yup, alive and well. I should post a vid once it warms up outside. yes please do i find that thing to be heart warming!